Blunts, joints, and spliffs… If you’re using these terms interchangeably, then you’re doing it wrong. Although they all serve one purpose– deliver the delightful cannabis high– there are significant differences between blunts, joints, and spliffs. This article covers everything you need to know about the weed rolling vocabulary. The weed vocabulary is a true vault of linguistic treasures. However, if you’re going to smoke weed for the first time, the language may become overwhelming. Blunts, joints, spliffs… They all refer to a rolled form of marijuana. Many people are using these terms interchangeably but to be honest, this is a misleading generalization. Although blunts, joints, and spliffs are equally enjoyed across the world, they are different in terms of both their content, rolling materials, and cultural background. For a cannabis purist, smoking a spliff is not an option, as it involves adding tobacco to the rolling paper. Blunts, in turn, are made for larger weed parties and cannabis traditionalists. And joints? Well, joints are hands down the most popular method of smoking marijuana. Let’s clarify the differences between blunts, joints, and spliffs once and for all. Blunts vs. 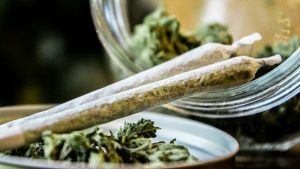 Joints vs. Spliffs: What’s the Difference? As mentioned, it’s easy to confuse joints, blunts, and spliffs. Essentially, they’re all just marijuana rolled into some paper, but the difference between them lies in three major aspects. 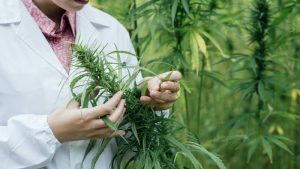 Understanding these three differences will help you figure out whether you prefer the old-school style of smoking pure weed, or you’re into the European fashion of mixing your greens with tobacco. Blunts and joints are the two most commonly confused terms. A good old-fashioned blunt consists of ground marijuana buds which are rolled into a special rolling paper. But this, dear friends, is not your regular rolling paper. Blunts are rolled with dedicated blunt wraps that are made of either tobacco pulp or by getting rid of the tobacco from a cigar and using the cigar leaf to roll the weed into. Want to get a more intense buzz than you would off a bowl or a regular joint? Roll a blunt. Blunts can hold a minimum of a half-gram, but if you enjoy fatties, you can even roll a full gram or two into the tobacco leaf. Are you a weed purist? You can always substitute traditional wraps for hemp blunt wraps. If you have a cigar at hand, open it up. You can go for it by hand or use a knife for a precision split running through the center of the cigar from one end to another; something like a sharp pocket. Remove all the tobacco to make room for your weed. Pack the blunt with marijuana, making an evenly spread, sticky green stuffing. For more potency, you can mix the buds with hash or some ooey-gooey concentrates; do it in layers. Now, give your wraps a liberal slobber of saliva on both sides. It’s not the most pleasant experience, but you can’t hide from it. Finally, roll the blunt and be careful with the tobacco leaf. Once you’ve rolled a cone-shaped fatty, run the flame of a lighter over the blunt’s end, making sure you don’t incinerate the tobacco leaf. 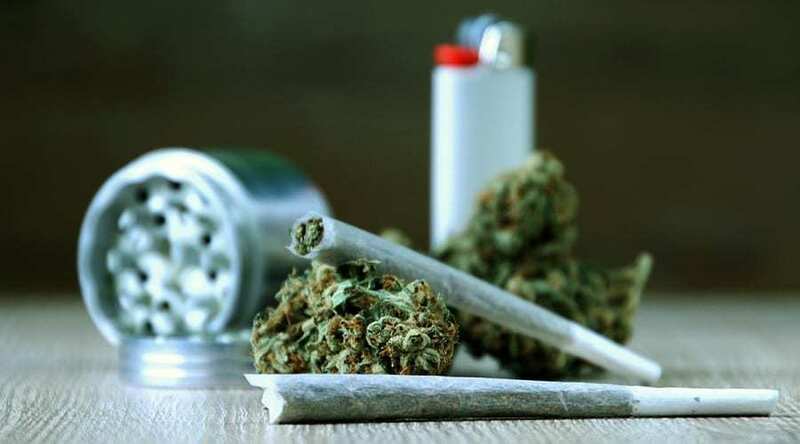 Joints are the most widely used of the three consumption methods. Unlike blunts, they don’t involve the use of tobacco; when you smoke a joint, it’s just pure weed and nothing else. Marijuana is typically wrapped in hemp or cellulose paper. The whole process requires you to grind up your greens, place it into the paper, add the tip, and roll the joint up– simple as that. Joints are also smaller than blunts, but they are by no means boring. For many weed aficionados, joints are pieces of art. People roll them into all sorts of sizes and shapes, such as tulips, airplanes, roses, braids, and more. A regular-sized joint contains about 0.32 grams, which is perfect if you don’t want to get too high. Similarly to how you would roll a blunt. Start by grinding up your weed buds. Once you’re done, get those papers out of your weed box and make a tip. The tip will serve you like a cigarette filter; most joint wraps have tips attached to the package, so you don’t need to buy them separately. Roll the tip into a zig-zag shape for better airflow, place it on one end of the paper, and fill your wraps with weed to the desired size. Lick the glue on the one side of the paper, roll the joint, and tie it at the end. Spliffs are a lot like joints, but they have one extra ingredient; tobacco. However, spliffs are not rolled into a cigar leaf, nor are they the size of a blunt. Instead, a spliff uses tobacco as company for the weed inside the roll itself. Probably because spliffs tend to smoke slower and more evenly than joints, so it’s unlikely that you’ll experience a canoeing spliff. A canoeing spliff is when the stuff starts burning only from one side, which may lead to wasting the beneficial cannabinoids. Besides, some people prefer the high they get when mixing weed with nicotine, as it gives them more energy than a regular joint. Oh, and finally, spliffs are perfect for emergency situations when you’re about to run out of weed but you feel the urge to add some pizzazz to your day. It’s like watering down the weed with the cheaper and more abundant tobacco. It may compromise the smell and flavor of your experience, but some prefer to smoke their weed this way nonetheless. Rolling a spliff is like rolling a joint, but with added tobacco. If you can roll a joint, you can roll a spliff as well. Just make sure the tobacco is only an extra ingredient. To a purist, rolling a 50/50 spliff is a desecration, just for the record. Tobacco is a widely known carcinogen which is responsible for a wide range of modern diseases, from high blood pressure to stroke to lung cancer and more. Besides, let’s not forget that tobacco in its commercial form is a far cry from what farmers were cultivating decades ago, so it’s actually the worst ingredient you can add to your weed. 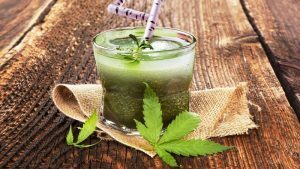 Some people like to mix marijuana with herbs like chamomile or yerba maté to add that extra kick to their high without delivering nicotine to their bodies. This is way healthier than smoking a traditional spliff, although smoking and healthy shouldn’t ever go together in one sentence. The popularity of joints blunts, and spliffs vary from region to region. 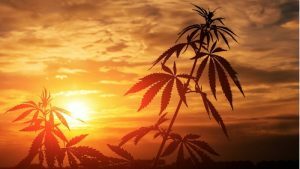 It reflects the cannabis culture across the globe. Spliffs are common among Europeans, who generally see joints as “wasteful”. However, spliffs are less prevalent in those regions that have access to high-quality cannabis, such as Netherlands, Catalonia, or the Czech Republic. Interestingly, Europeans often reverse the names “joints” and “spliffs”. 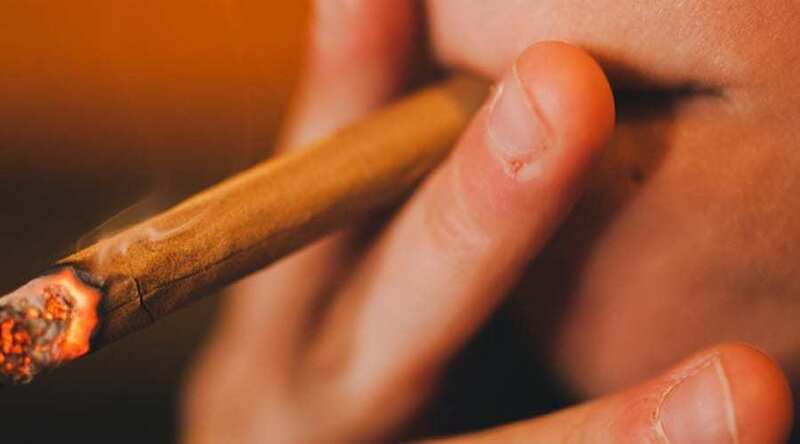 A spliff refers to a roll with pure cannabis, whereas a joint is used to describe a roll with cannabis and tobacco because a “joint” is a combination of two items from the linguistic standpoint. 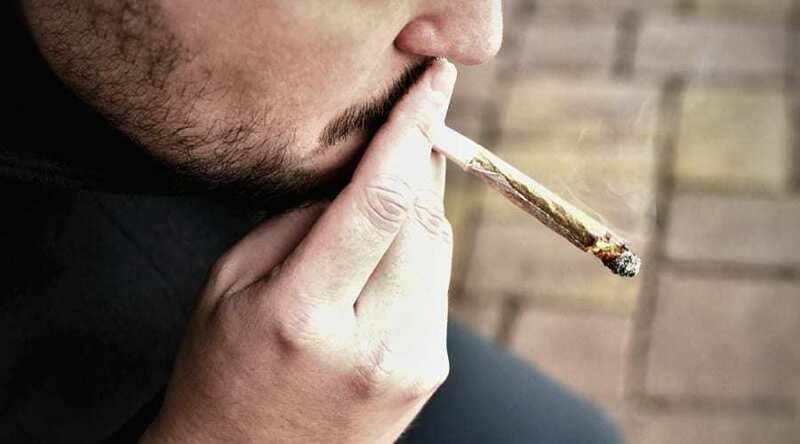 As more people are becoming aware of the health benefits of cannabis – and the adverse effects of smoking tobacco – consumers are more inclined to roll joints rather than spliffs. Joints are popular all over the U.S., Canada, and other American countries such as Mexico or Uruguay. Blunts, in turn, are prevalent in places where cigars are an integral part of the culture. They are typically used for large gatherings where people spread the joy among each other, so they serve a more “tribal” purpose. Still, it doesn’t mean you can’t smoke a fat blunt on your own if that’s your desire. The above are just statistics. Which One Is The Best For You: Blunt, Joint, or Spliff? Now that we’ve made it through the differences between blunts, joints, and spliffs, it’s high time to choose the best method for you. Blunts can be perfect for special occasions, for example, when you want to meet with your friends and celebrate the wonders of the day. However, there are those who prefer blunts over spliffs or joints any day. Blunts are definitely more time-engaging and more difficult to roll than their competition. Joints, in turn, are typically best for those who want to travel with their weed or need a quick fix when there isn’t anything else to smoke out of; rolling papers can be found almost everywhere. If you need an energetic buzz or your weed supplies are running low, spliffs will come in handy. They tend to burn longer and more evenly than joints and blunts. Looking for a casual sesh with a little bit of nicotine? Go for a spliff. To cut the long story short, choosing between blunts, joints, and spliffs boil down to personal preference. After all, they all have one common purpose– to get you high.